With the completion of the Trapp + Holbrook development in New Westminster just over a year away, Salient Group’s Robert Fung is on cloud nine. We caught up with the man behind Trapp + Holbrook for an update on the project. What is the construction status? Robert Fung: Construction is moving along smoothly and we’re on schedule for our residents to move in early 2015. We have completed piling (post-like supports used for building support) for the building foundations, and and the crane was raised August 19. The restoration process for the original terra-cotta facade that will be on the front of the Trapp Block is being meticulously undertaken. Overall, things look amazing. You’ve been active in connecting with the New Westminster and Columbia Street community – what are people saying about Trapp + Holbrook’s presence? RF: We’ve had a great dialogue with the New Westminster community, and overall, locals have been very supportive. People are really taking to the notion of an “urban community” where they live, work and play in the same neighbourhood. That has led to a large portion of the building’s new owners making their home in the Trapp+Holbrook redevelopment.. Some have compared this development to the style of Vancouver’s Gastown. What do you think of this comparison? RF: Like Gastown, downtown New Westminster is one of only two truly historic downtown areas in the Lower Mainland? Also like Gastown, downtown New Westminster is currently experiencing a rebirth for the downtown scene. However, we’re not trying to make Columbia Street into another Gastown, Columbia Street has its own character, strengths and vibe. The project was conceived in New West and on Columbia street – it’s New West, through and through. I encourage people to come and see Columbia Street- there’s a great entrepreneurial energy here. People, and businesses, are coming to New West to become a part of this community. RF: We want to support local business, and The River Market in New West is an established venue to do that. Karmavore, a local vegan cafe and bakery has set up a new venture at The River Market and Trapp+Holbrook is supporting their presence while they feel out this new evolution of their business. On the construction side, with the crane up, watch for things to really start progressing as we start to pour concrete over the next three weeks. Imagine construction is finished, and the first residents are living at Trapp + Holbrook…what are you most looking forward to? RF: I can’t wait to be sitting on the street having a coffee in front of the building. I hope to see people enjoying the cafes, retail and engaging with the space. A vibrant urban neighbourhood is a great place to be. I truly hope there is a sense that the building has always been there. Re-Up BBQ recently opened its doors in New West, and it’s creating some serious buzz! The popular food cart, which was recently named Best Food Cart at the Vancouver Restaurant Awards, chose the Royal City as the location of its first mortar and brick store, much to the delight of locals and foodies. The restaurant team will be at the Trapp+Holbrook grand opening on May 26, so we think it’s a great time to highlight this local success story. Lindsay Ferguson, one of four co-owners of the business, recently chatted with us about New West, Re-Up’s future, and their passion for barbecue. If you need even more evidence that New Westminster is a hot spot for young entrepreneurs, look no further than The Network Hub. The co-working space, co-founded by Minna Van, Jay Catalan, and John Van, opened a campus in the Royal City last year. 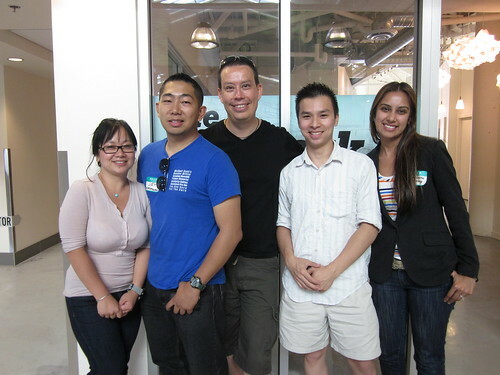 In addition to providing co-working space for entrepreneurs in the area, the New West Network Hub hosts a variety of art and business events, including the Freelance Camp, the “Look What We Do” art show, and the Entrepreneur Meetup, an event where Salient Group president Robert Fung spoke recently. the market for a fuschia bridesmaid dress. And Price Waterhouse Coopers until recently was warning of an over-supply in the condo market. The gap between planned starts and estimated housing requirements is narrowing, mostly because of fewer planned starts, but there’s still reason to tread carefully. Monthly Condo Fee: $214.33 House size: 798 sq. ft.
Front Street’s antique row is a lot like Main Street’s: quality is hit and miss. The major difference is price. Here, a mid-century teak credenza can still be found for $500, and pariking in the waterfront parkade overhead Is cheap and abundant. Definitely worth a rainy-day trip. Sign of the times: The Trapp Block – Columbla Street’s prettiest heritage building – used to house a family hardware store. Now its main floor is home to a Yaletown Sofa Co., a chainlet that specializes in condo-sized furniture, and the bullding is slated for redevelopment by Robert Fung’s Salient Group, the developer remaking Gastown. From here, the termlnus of the original SkyTraln line, it’s only a 20 minute ride to Waterfront Station provided you don’t have to wait for a train during peak hours.